Populations of Shiras moose (Alces alces shirasi) in Wyoming and most western states have experienced declines in population size, and recruitment of young in recent decades. Wildlife managers have expressed increasing concern for moose populations and harvest quotas have been reduced accordingly throughout much of their range. 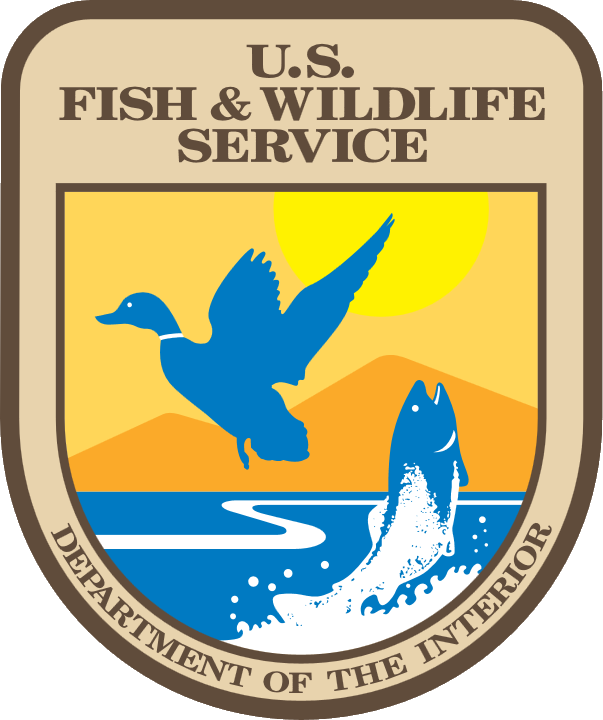 The regional nature of the declines led the Wyoming Game and Fish Department and its research partner, the Wyoming Cooperative Fish and Wildlife Research Unit, to initiate a large-scale analysis to evaluate the factors potentially responsible for observed declines. 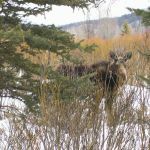 Our objectives are to 1) assess the current status of moose populations, based on calf recruitment and harvest across the state of Wyoming, and 2) evaluate the relative influence of climate, habitat, and predation on trends in calf recruitment in moose population across Wyoming, with the long-term goal of incorporating data from other western states (i.e., Utah, Colorado, Idaho, Montana). Northern moose populations (A. alces gigas) have been well studied and the factors that limit their growth range from density-dependent factors that interact with forage abundance to predation by gray wolves (Canis lupus) and grizzly bears (Ursus arctos) that can reduce calf recruitment to minimal levels. The relative roles of climate and predation on the population ecology of Shiras moose in the Intermountain West are not well understood. Changing patterns of precipitation and temperature throughout the west hold the potential to influence moose demography by affecting patterns of green-up, abundance of forage, and thermoregulatory costs for moose. Although effects of drought have been proposed as one of the leading causes of moose declines, little is known of how winter severity and summer precipitation effect demography of Shiras moose. Predation is responsible for limiting Northern moose populations when moose are the primary prey, however, Shiras moose remain an alternative prey to wolves which are supported by abundant elk populations. Nevertheless, the presence of grizzly and black bears, along with wolves in portions of the Shiras moose range may be partially responsible for moose declines. Our overall approach will be to describe general trends in count data and calf production within and between moose herd units. Subsequently, we will generate predictive models to evaluate the influence of climate, predation, and habitat on patterns of calf recruitment at the population level. Results of analyses on calf recruitment and empirical estimates of demography from other moose studies in the Jackson area (NW Wyoming), will be used to inform a population model that will be used as a resource for management and to assess the effects of harvest on moose populations. This research project is a collaborative effort between Kevin Monteith and Matt Kauffman from the Cooperative Fish and Wildlife Research Unit, Charles Schwartz from the Interagency Grizzly Bear Study Team, and Steve Kilpatrick, Dave Moody, and Bill Rudd from the Wyoming Fish and Game Department.